We're taking on Saint Louis College Prep! We need YOU on our team! This Friday, Round One of Brackets for Good begins. To continue to the second round, we need your support to beat Saint Louis College Prep. 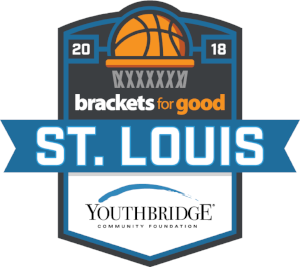 The team with the most points by Friday, March 9 at 8 PM moves on to the next round and will compete against another St. Louis nonprofit like us. If you'd like to give offline, mail cash/check to our office or call 1-855-726-7323! What is Brackets for Good? Brackets for Good hosts a single-elimination, bracket-style fundraising tournaments across the country that raise much-needed funds and awareness for nonprofit organizations of all sizes. Click here to more about Brackets for Good and here to see the St. Louis Brackets. Have questions? Contact Mandy at mandy@missionstl.org.